In an enchantingly peaceful city laneway, tarot cards depicting the Lovers and Death stand sentinel as a red velvet curtain on your right and a simple white sigil to your left silently guide you through the doorway. Despite the esoteric setting, it’s not all shadows and spectres at the Haunted Bookshop. Proprietor Drew Sinton has created a magically educational oasis where aficionados of the arcane and those curious about the occult can search and query all manner of spiritual tomes. This paranormal parlour is exceptionally well-stocked with titles covering topics from reincarnation, Magick, zombies, palmistry, horror, spirituality, mediumship, vampires, divination, aliens, Wicca and appropriately, ghosts. Shoppers are also offered a formidable online catalogue, gothic jewellery, tarot decks and supernatural knick-knacks. 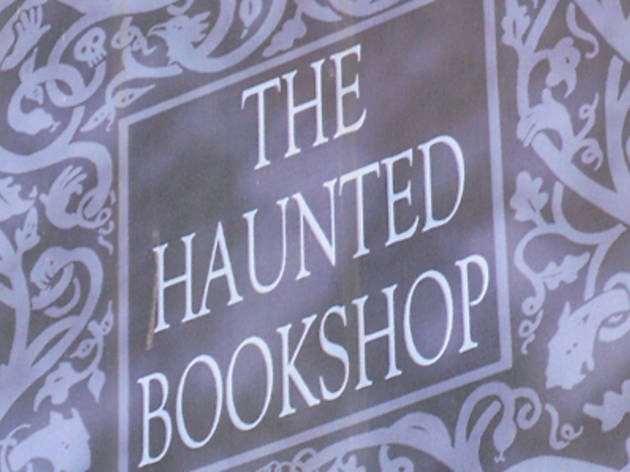 Punters with a ghostly bent are in luck as the Haunted Bookshop is home to the Haunted Melbourne Ghost Tour. Sinton leads the two-hour narrated tour through the shadowy city streets every Thursday and Saturday night. From the Victoria Markets (which host the corpses of 9000 of Melbourne’s original inhabitants) to ghost-infested pubs and abandoned buildings, you'll take in a rich historic tour of the murdered, the betrayed and the generally discontent souls of Melbourne’s past. The appearance of ethereal companions neither guaranteed nor denied. 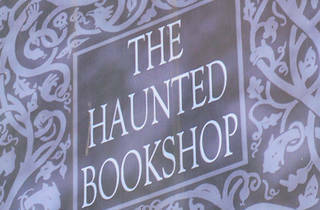 Book in store, by phone or through the Haunted Bookshop Facebook page. A resident spirit called Donald, in lieu of a cat sleeping in the front window, further validates the Haunted Bookshop’s otherworldly cred.